HR professionals are gaining power within small to midsize businesses (SMBs). Find out how the industry is changing, where it’s going, and how to keep up. 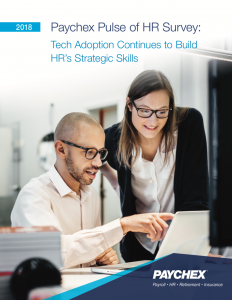 As HR professionals double down on strategic thinking, data-driven decision-making, and increased employee productivity, their role is becoming critical within smaller organizations. Fueled by affordable technology and analytics that are giving them deeper insight into the needs of both employees and the organization, HR leaders who know how to use the tools available to them now have an important seat at the table.